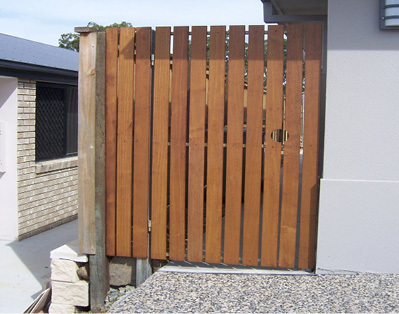 Single gates eg: Pedestrian gate beside the house - up to 1.85 meters frame height and 2.1 meters wide. 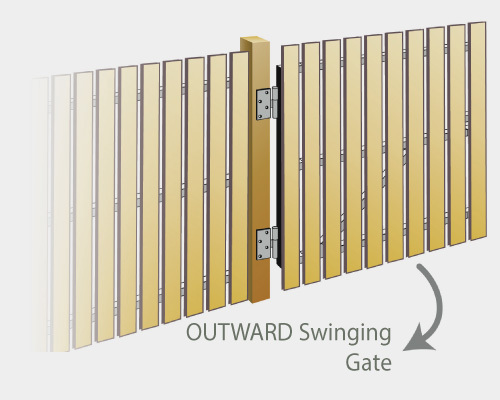 Double gates eg: Driveway - up to 1.85 meters frame height and 4.2 meters wide. 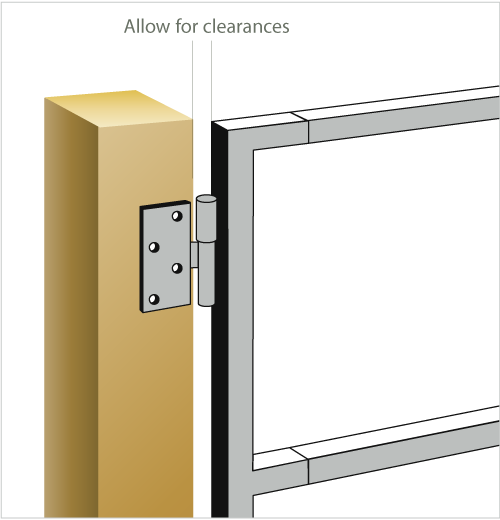 10 to 15 mm clearance between the two halves. 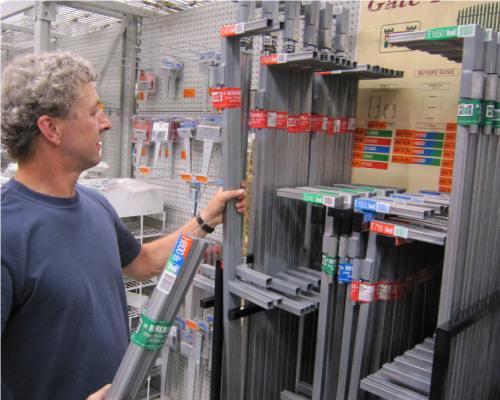 The Fortress Gates Size Calculator will help you establish which combination of products to purchase. 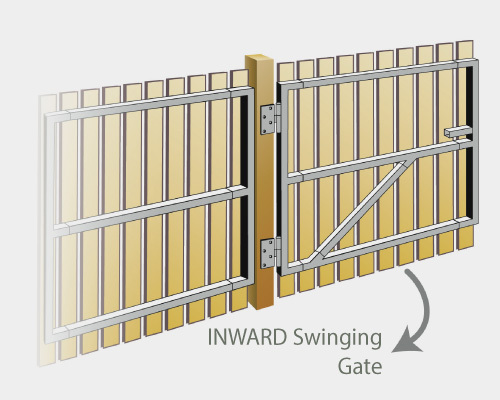 For single gates you will also need to decide if your gate will swing from the LEFT or RIGHT post. 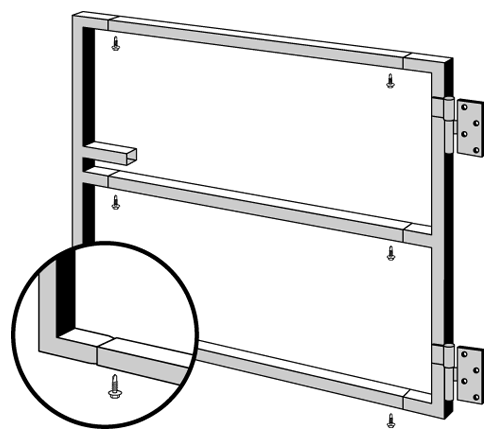 • If hinges are upside down - REVERSE them. 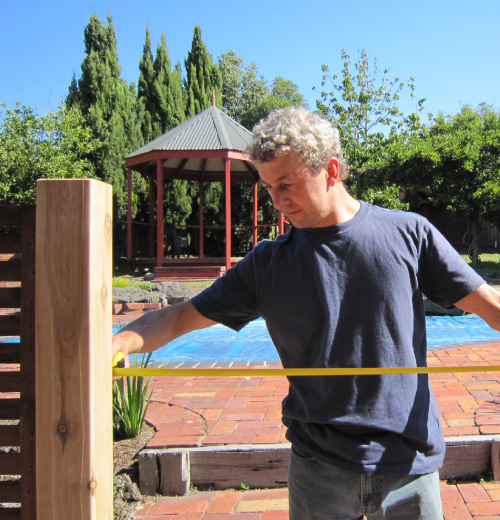 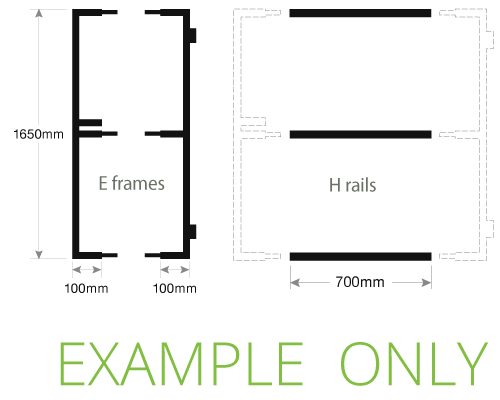 NOTE: for double gates - repeat the above process for both the LEFT and RIGHT hand posts. 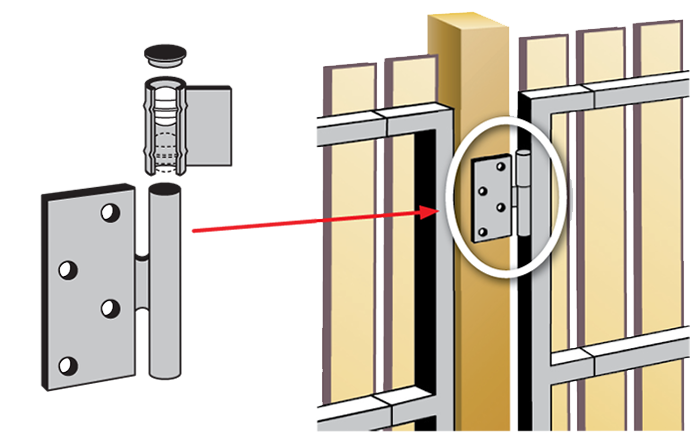 Hinge - right way up. 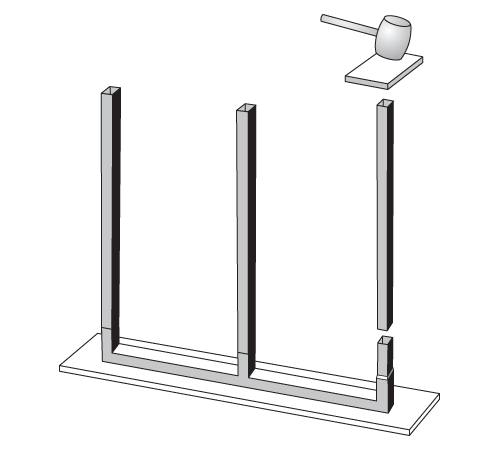 Place one side of frame on firm ground - slide rails on. 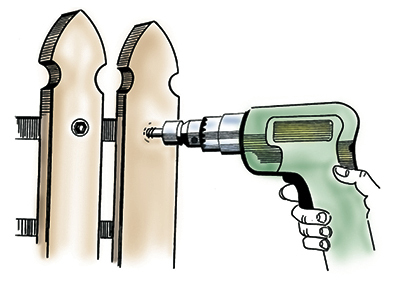 If necessary use mallet or block of wood to BUMP rails on - don't use metal hammer. 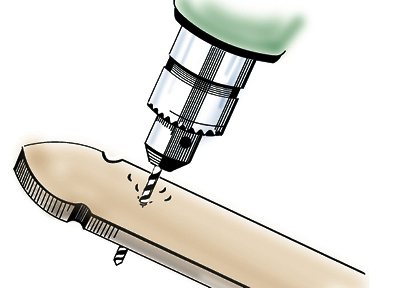 Bump the other side of frame into place. 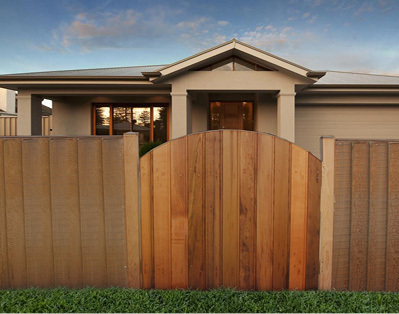 Finish with your choice of cladding. 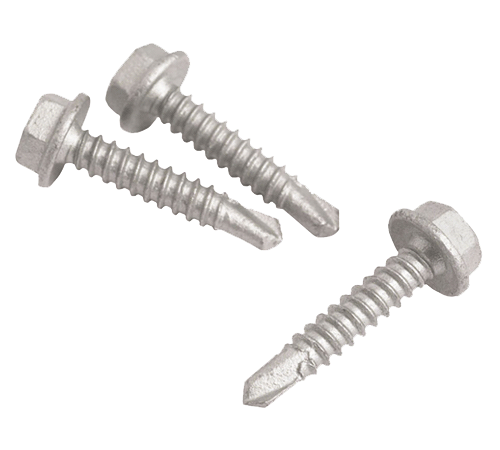 Screw directly into the steel frame using an electric drill (B).